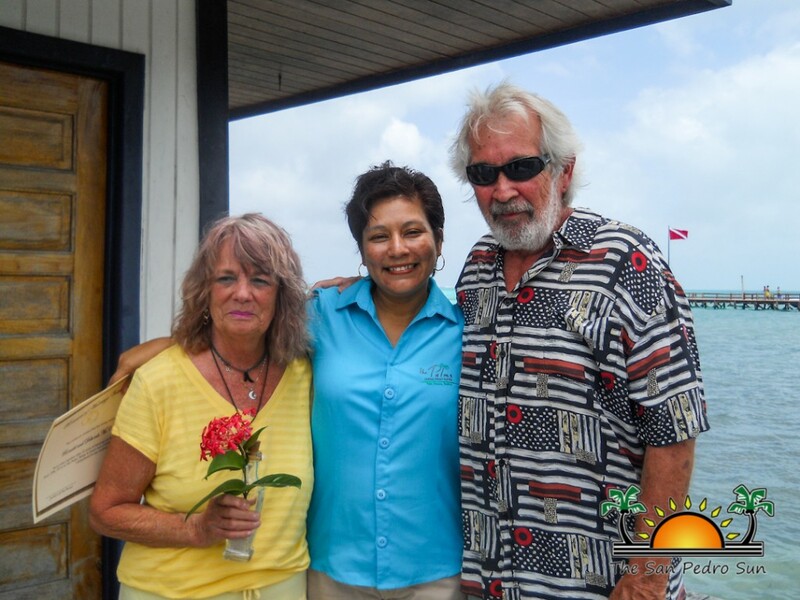 After many years of travel to Belize, Joe and Debbie McCord chose to renew their wedding vows on Ambergris Caye on June 10th. Their 20th anniversary was not till June 14th, but when the moment is right, it’s right! The McCords used to visit the Bahamas religiously, but after discovering Belize and Ambergris Caye, they have chosen to come back time and again. They’ve made fast friends here, and one of them, the wonderfully friendly Ana Pereira Ico, was honored to lead the vow renewal ceremony as a Justice of the Peace. Witnessed by their long-time traveling companions Dale and Patty Bastin, the McCords exchanged vows on the TMM Dock over the beautiful waters that keep them coming back every year. Congratulations lovebirds, and cheers to 20 more!! It’s official: Courtney and Mark tied the knot! Under the Sun & Stars - Celebrations Galore!